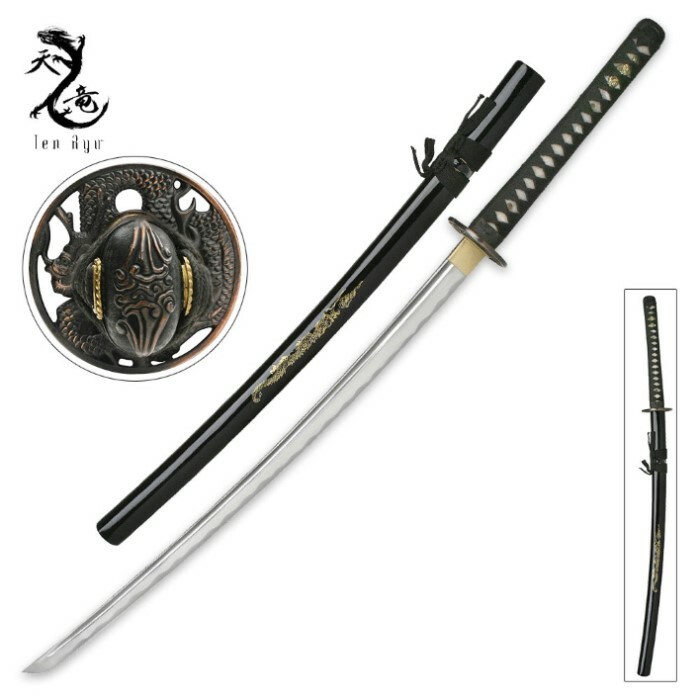 A handmade, battle ready katana is what you get with our line of Ten Ryu swords and each of them is a prized showpiece for collectors.This katana has a magnificent 28 1/2” carbon steel blade with a traditional blood groove. 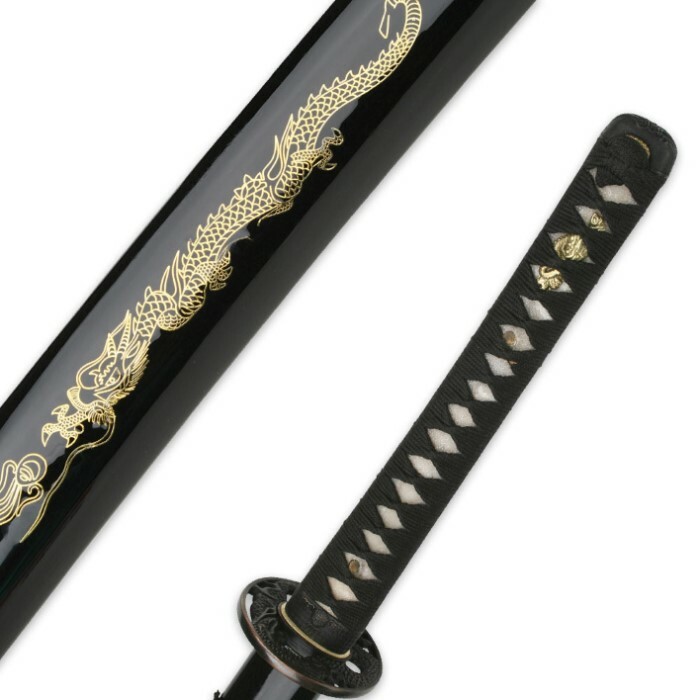 Each Ten Ryu Samurai sword offers a full-tang, high-carbon steel blade that has been forged and tempered using proven methods The handle is covered in genuine rayskin and traditionally wrapped cotton.The black lacquered scabbard had an impressive brass dragon inlaid design. A black cotton sword bag completes the package. 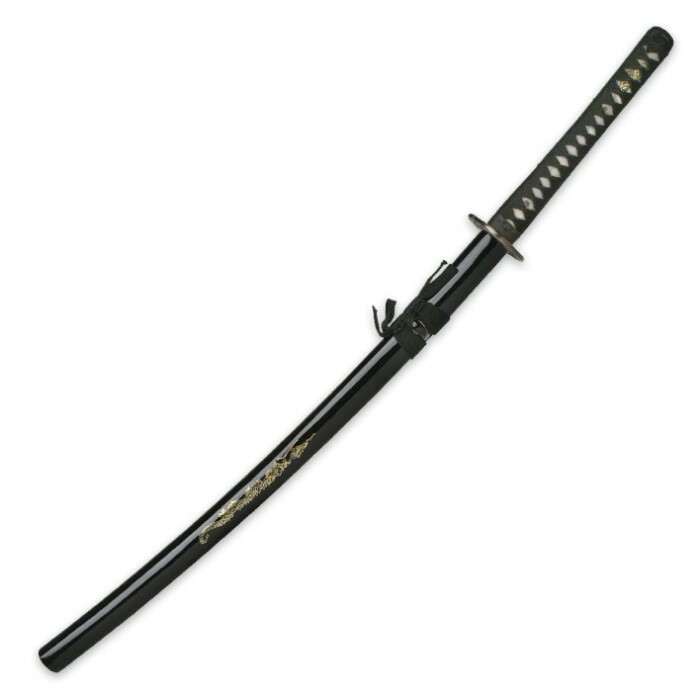 This Samurai sword is 41” in overall length.